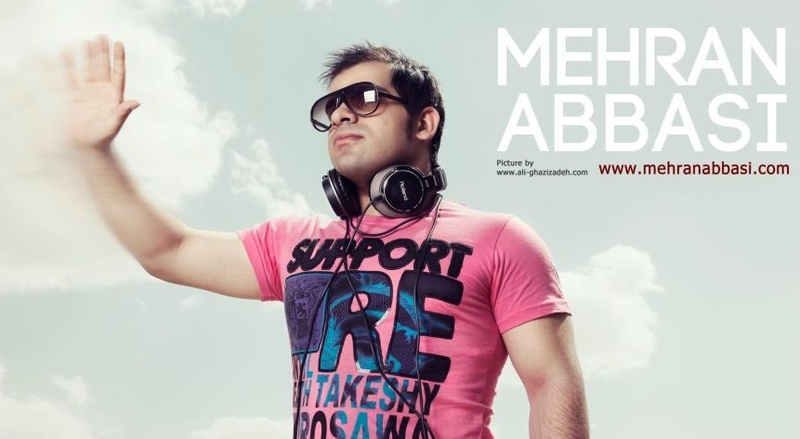 My name is "Mehran Abbasi", I'm originally from Iran. As you may know there are no Dance Club, Bar, Disco or other places where people can enjoy Electronic Music. I have worked on all electronic music styles & I am working in the area of Audio Mixing & Mastering. I have tried a lot to introduce Electronic Music to my people. The population of Iran population is around 70 million yet there are only 7 Professional Electronic Musicians there can you believe it? I work hard to stay in contact with Great Musicians all around the Globe. Some styles that I am work on include: HOUSE, PROGRESSIVE HOUSE, TRANCE, DUBSTEP, ELECTRO HOUSE, CHILOUT, & etc. At home in Iran I am known as one of the best Iranian Re-mixers (Image-Line: we agree). I have released 3 Music Videos abroad so far, and while maybe they don't have lots of fans, but I really loved making and sharing them. My fans have always helped & supported me to go ahead & I am really grateful because of this. How do you work in Iran, we know it's very hard for electronic musicians there? I have been always optimist; maybe someday good things will happen to me. As you know, it is very difficult here. Iran is under lots of sanctions these days, the value of our Currency is falling down day by day & external communications might be closed at any time. We literally have to pay double to buy everything. There are also heavy and strict fines for producing Electronic Music & Music Videos in here. Now I am really working hard to be able to gain a better level in International Music, because I believe that there my future lies for me, as it has for other Persian musicians so far. Currently, I have reached one of my big dreams which was working with "IMAGE LINE" the company. Well, when I started out as a web designer, 13 years ago, there was not any advanced Music Soft ware. I was always seeking for a program that can help me to recreate the Music that I had in my mind. I really can not believe that everything changed in my life, just by receiving a CD from one of my friends!!! When I opened the files of the CD, I found a program named "Forty Loops - Version 3.1"! [Image-Line why didn't we think of that :)] As soon as I installed it, I was totally amazed, because all of my dreams were becoming true in front of my eyes. Whenever, I remember that moment, prove that I made the best decision in my life. I have always tried my best to handle most of my projects by using FL Studio Tools & I really enjoy using "SYTRUS", "3XOSC" & "WASP". Currently, I am using FL Studio Tools for more than 90% of my projects. My current ‘go-to' synths include "HARMOR, TOXIC, SYTRUS, HARMLESS, 3XPSC, WASP, SAKURA & etc." I love to work with "Slice X" tool; I believe that it is the best Slicer for Audio files. I have proved many times in FL Studio Forum that everyone can produce a great music track by using FL Studio Tools, because it needs minimum CPU & RAM & also it is so inexpensive. Most of my projects use 30~45% CPU Usage & 600 MB Ram. The fast workflow of FL Studio, in comparison with other soft ware, is wonderful. For example, if making a "LOOP" takes 10 seconds by FL Studio, it may take 2 or 3 times more using other program. As you know, time saving is so important in nowadays & FL Studio is my best choice. I don't have lots of audio hardware, because stuff is so expensive in Iran, I just have a Behringer Midi Controller an M-Audio 410 FIRE WIRE soundcard and YAMAHA HS 80 monitors with a HW10 Sub Woofer.